The Nicols boatyard opened in 1986 and was part of a group of French industrial companies specialising in the transformation of plastics. Then in 1990 the first Nicols base was opened at Dole in the Franche Comte region and the following year a reservation centre was set up to manage holiday rentals. Today Nicols, on a much larger scale, is still successfully managing the full process – from building the boats, promoting the boats for holidays and then providing support for those holidays via our bases. Over the years generations of boats have followed one another. 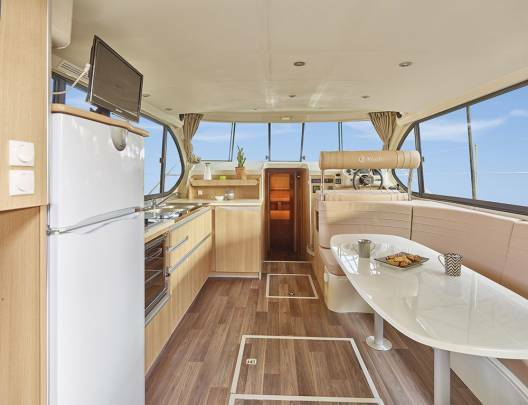 After the initial Marina and Riviera ranges was the Sedan range with the distinctive shaping of sea-going yachts and a rear terrace a living area that was all on one level – something not seen before. Then came the Confort range of canal boats that were designed to suit couples and groups of couples travelling together before finally the new generation Estivale canal boats that we see leaving the boatyard today. In total there have been 5 different ranges, 25 different models and total of over 600 canal boats that have left the Nicols boatyard for the rivers and canals of Europe! Initially the process begins with a list of ideas. These ideas come from both our own expertise but also from valuable feedback from our customers – the people who are experiencing the boats first hand. We investigate all customer suggestions, especially if we think there is a good possibility that they could enhance the comfort, ease of use or appeal of the boat. 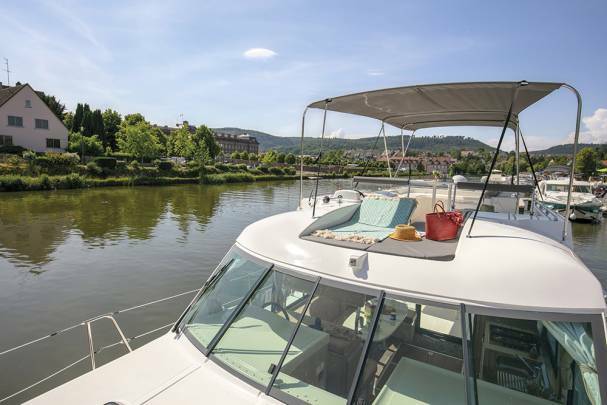 Once this list of requirements and a specification has been agreed the next stage is to draw up the plans of the boat layout – both inside and outside to show the living areas, cabins and equipment to be included. When the plans are finished, we begin the making of the "first model": made of wood, it is from this model that the moulds are created to make all the boats. Each mould must have a perfect surface, like a mirror, so that the stratification (projection of polyester fibres) is without a flaw. 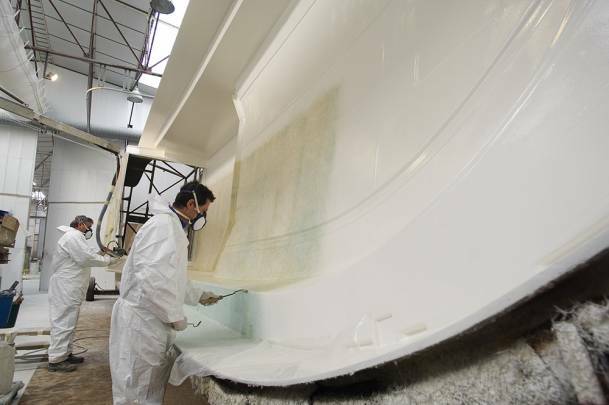 Once the two principal pieces are made (hull and deck) comes the unmoulding stage... it is already a new born! 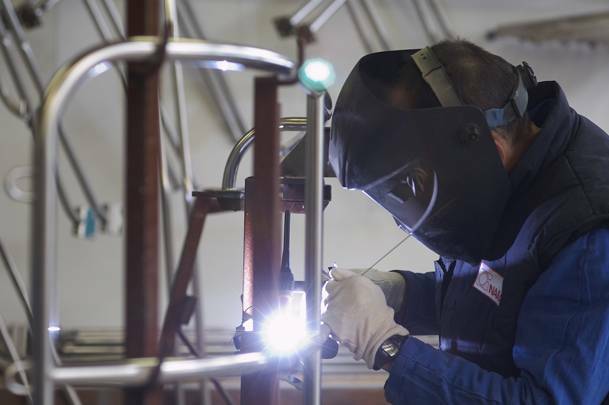 Then all the teams take over: carpenters to make the partitions and interior furniture, welders for the railings and ladders, electricians, mechanics, plumbers, for the interior equipment and wiring... until the boat is finally ready to leave the shipyard for its new home ! On Nicols boats both comfort and safety are equally important. Most of our canal boat models have large and bright living rooms with windows giving a 360 degree view. 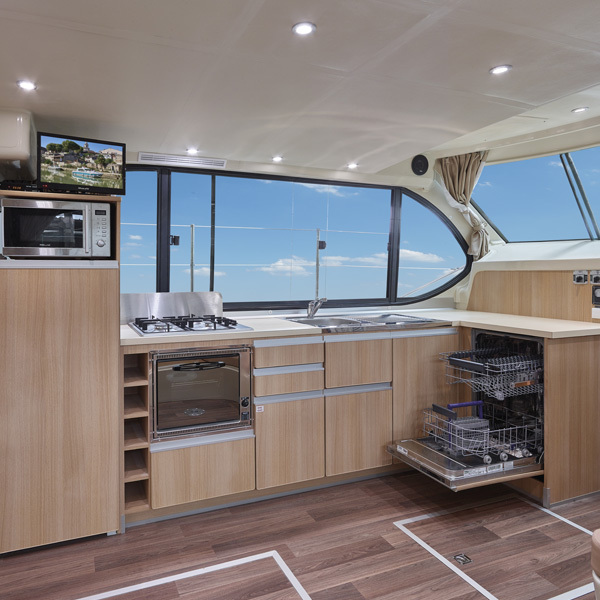 Home-from-home equipment including a well equipped kitchen with 200-litre fridge with freezer compartment and stove and small oven make onboard dining a breeze while some boats even have things such as a microwave and air-conditioning, TV with satellite, a safe or even a dressing room! With the exception of the Riviera range (our first canal barges) all boats have sliding doors that provide access to the rear terrace – perfect for lunch in the sun. On the roof deck many boats have a second outside steering position. Safety on the waterways is important so all Nicols boats are equipped with a handrail and double railing on all deck areas making moving around the boat easy and safe for both adults and children alike. All boats built since 1998 are also equipped with a swimming ladder so it’s easy to get back onboard after a swim – whether voluntary or not! Fancy owning your own Nicols canal boat? A large living room, comfortable bedrooms and bathrooms and fantastic outdoor living spaces...your Nicols canal boat is a wonderful floating home. In fact some customers love our canal boats so much that they’ve gone and bought their own Nicols boat as a holiday home. You could do the same, choosing from either new or used. What’s more it is possible to tailor the boat according to your needs. To find out more about buying a Nicols canal boat click here. Nicols in numbers – the canal barges, the bases, the crews! More than 600 canal barges have left the Nicols boatyard. These are made up of 5 different ranges and then 25 different canal boat models ranging from 8m to 15m in length. 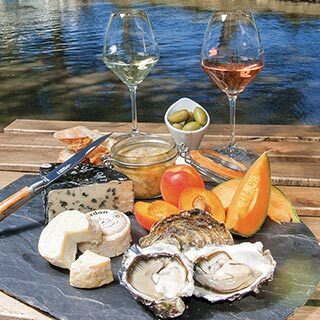 You can rent a canal barge from 20 different Nicols bases in France, Germany, Portugal and Holland and join the over 30,000 boating holiday fans who travel with us every year.